Refusing to back down amid a mounting battle over Venezuela's humanitarian crisis, the government of President Nicolas Maduro announced Monday that it will hold its own huge concert to rival one being organized by billionaire Richard Branson, a backer of opposition leader Juan Guaido. 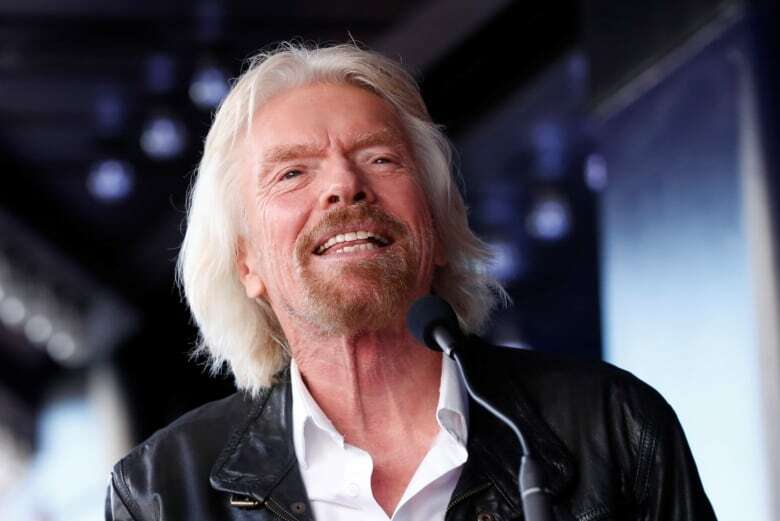 Information Minister Jorge Rodriguez said the government will throw a concert Saturday and Sunday on Venezuela's side of the border — opposite one in Colombia being spearheaded by Branson, the wealthy British adventurer and founder of the Virgin Group. 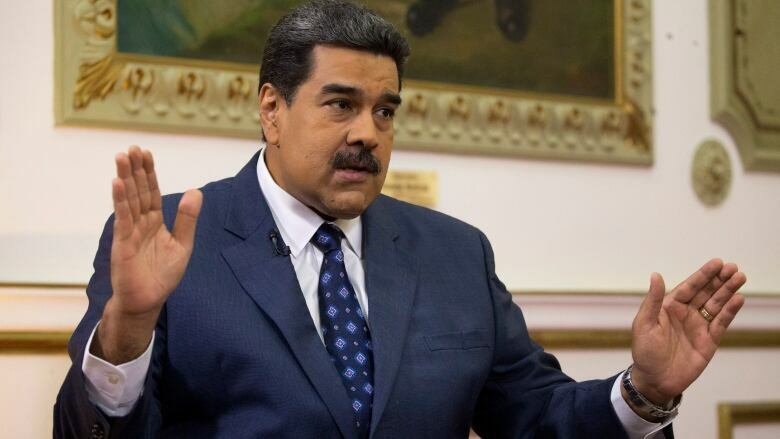 Maduro is vowing not to let the U.S. aid enter Venezuela, and he announced on state television Monday evening that his government would import 300 tons of aid from Russia that he said will arrive soon. He said Venezuela paid for the Russian goods and isn't a country of beggars, lashing out at President Donald Trump for thinking he can force in unwanted assistance. "They want to enslave us," Maduro said. "That's the truth." The rival bids for aid and concerts to shore up support are part of a tense bid by both Maduro and the opposition to break a month-long stalemate over power in Venezuela. Maduro is holding on with the military's backing and relying on powerful allies like Russia in a conflict with increasingly Cold War-like dimensions. Guaido, meanwhile, is relying on the support of the international community, including the United States, and powerful cultural allies, like Branson. In an exclusive interview with The Associated Press, Branson said Monday that he hopes the concert he is throwing will save lives by raising money for "much-needed medical help" for crisis-torn Venezuela, which is suffering from hyperinflation and widespread shortages of food and medicine. He said he is aiming to raise $100 million for suffering Venezuelans and open the borders to emergency aid. Up to 300,000 people are expected to attend Friday's concert featuring Spanish-French singer Manu Chao, Mexican band Mana, Spanish singer-songwriter Alejandro Sanz and Dominican artist Juan Luis Guerra. Branson said he hopes that Venezuela's armed forces, until now loyal to Maduro, will allow the aid to reach Venezuelans. "We want to make it a joyous occasion," Branson said in his first interview since he announced the concert on a brief video posted online last week. "And we're hoping that sense prevails and that the military allows the bridge to be open so that much-needed supplies can be sent across." He said he opposes trying to carry the aid in by force, but clearly favours Guaido in his standoff with Maduro. "I don't personally feel that force should be used at all by either side," he said. "If they [Venezuelan troops] stop the aid coming through and there are pictures of hundreds of thousands of people wanting to come through from both sides, that will send out a potent message, a very powerful message to Venezuela, to everybody, that there is aid that is trying to get across, but the army is stopping it," Branson said. "That hopefully will mean that Juan Guaido and his people will have a better chance to have another election where sense can prevail." Guaido, who heads Venezuela's opposition-controlled congress, declared himself interim president Jan. 23 with the backing of the United States and most South American and European nations, which argue that Maduro's re-election last May was fraudulent. Guaido has announced that humanitarian aid will enter Venezuela on Saturday, the day after Branson's concert. Branson said the initiative follows his involvement with Live Aid and years of work with "The Elders," a group of elder statesmen and political leaders that he helped establish to avoid conflict and assist in humanitarian situations. "I talked to Juan Guaido, and the team, the people around him, to see what could be most helpful," Branson said. "And they said that the thing that Venezuela needed the most was medical help in particular, money to be raised to try to keep doctors and nurses in Venezuela, not leaving Venezuela, and just basic medical help." Meanwhile, Guaido said the move by Maduro's government to put on a rival concert was "desperate." "They're debating whether the aid should come in or not ... They don't know what to do," Guaido said Monday. "They're now making up a concert. How many concerts are they going to stage?"